This particular group/artist is not to be confused with The Fountain Of Youth who recorded for Colgems but one listen to this raw garage blast and I'm sure you'll hear the difference anyway. It is thought that this Fountain Of Youth were from Tennessee, although that conclusion is probably based on the location of the Sur-Speed label. The latter was owned and run by Nashville producer Red Wortham who also owned Bullet Records and Delta Records. 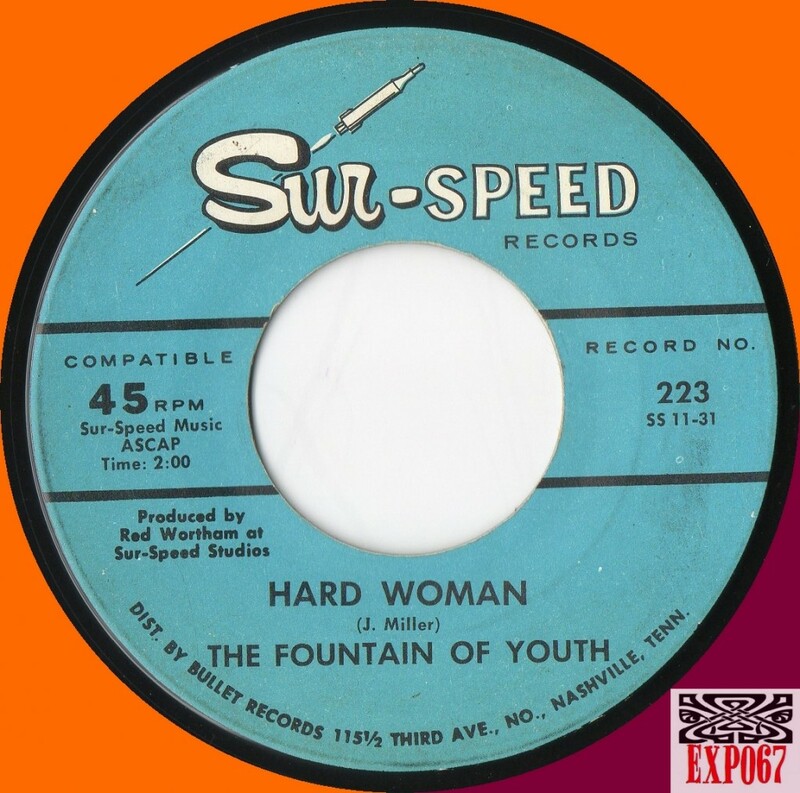 'Hard Woman' is a hot garage rocker with a great surf guitar riff. The vocals are buried in the mix and the drums are primitive and cool, sounding like the guy is tapping away on monkey skulls. Listen out for the killer psych guitar break that ends the performance. Forget about the flip 'Things Of The Past' which is an early 60s teener ballad.